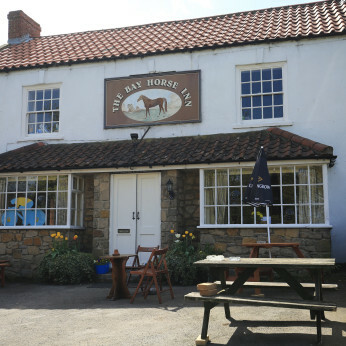 The Bay Horse Inn is a pleasant free house facing onto the picturesque village green. The interior has been opened out into one main lounge with a smaller room running off it. The bay windows form cosy alcoves. Opens early on Friday evening for fish and chips. The pub is also HQ to the village cricket team. Great fish and chips to eat in or take away, Great atmosphere to go with the fine ales, lagers and beers.